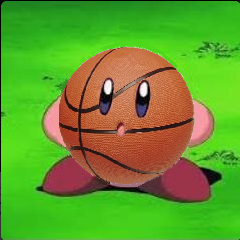 My worst Kirby photoshop yet. With real basketball and cool things like televised games on the horizon, I exchanged a few e-mails with Adam Mares on what we’re most looking forward to this upcoming year. Adam is the creator of the NBA PhD program on Reddit, writes for Analytics Game, and in my opinion is underfollowed on Twitter. You can reach him there at @Adam_Mares. Hey Matt! The NBA season is almost here! That means we don’t have to replace Kirby’s head with Carlos Boozer or Ty Lawson’s head with Peyton Manning. I mean, we still will, of course, we just won’t have to. We can start to watch and talk about actual basketball. And there is so much to look forward to this season. Like, hundreds of thousands of things that I am excited about. I’ll get the obvious one out of the way first. Lebron is back in Cleveland! And he brought some friends with him too. It’s almost impossible for this Cavs team to disappoint, at least when it comes to entertainment. They’ve got the best basketball player on the planet, the most unique power forward in the game, a point guard with a ridiculous handle and the potential to be one of the game’s best, and enough outside shooting to fill a 3-point contest for all-star weekend. And yet I’m most excited about David Blatt. I’ve allowed myself to become convinced that he is a basketball messiah, sent to Cleveland to create the world’s greatest offense. And I say that having only seen a few press conferences, a couple of clips of his former teams in Europe, and some nice reviews from former players. Blatt is like the hot foreign exchange student that shows up one day in your class. The one who has that thick accent and weird clothes, and yet somehow after seeing her you are convinced that you’ll never fall for an American girl again. They all pale in comparison to her and her glowing blonde hair and the way she says “mercy” after she sneezes. That’s David Blatt! He might just be another guy, but I’m convinced he’s the one! First off, I might’ve attended the wrong high school and college because there was no female Blatt that I know of. Then again, I may or may not have napped my way through those years. Cavs fans would’ve been wise to do the same the last four seasons, and Blatt (along with, you know, LeBron and everyone else acquired this off-season) is like that fresh cup of coffee or three to get back up and going again. IT’S ONLY PRE-SEASON, BUT Cleveland’s offense looks like it will end up as the most efficient in the league, and it’s been super fun to watch so far with Blatt deserving a lot of credit. The weave in particular and the off-ball movement produces spacing that’s just unfair. Kevin Love‘s going to have more than a few nights like against the Heat where he quietly scores 25, and we’ll have the 12th straight year wondering if LeBron will flirt with a triple double because of all the open looks this offense will create. There’s a lot of lineups that produce a ton of spacing, and sometimes defense just doesn’t matter when Cleveland could snap a 10-2 run in a minute. Back to Blatt, though. Seems fair to put him near the top of the Coach of the Year candidates. That award has some, well, interesting names receiving it over the last 15 or so years. Quite a few have been awarded after a surge in wins which Blatt is going to qualify for, but Stan Van Gundy (Detroit), Monty Williams (New Orleans), and Mike Budenholzer (Atlanta) are a few who could be in the running as well. Is Blatt your pre-season pick? And I’ll lob (or outlet pass?! Or both, like a full-court alley-oop?!?!?!) another question to you: With Kevin Durant about to miss a good chunk of time, is LeBron the #1 and #2 MVP candidate or do you see anybody taking the #2 slot up to the New Year? Lebron has been my #1 MVP pick every year since about 2008 and I think the odds are strongly in his favor for this season, but I actually think his usage will go down this year even if his impact is as big as ever. He’ll also get some competition from Blake Griffin, the three-point specialist. I think people, myself included, tend to think of Blake as a finished product when really he’s 25! This will likely be the first year of his prime. It’s entirely possible that Blake makes a leap this year not just as a shooter, but as an all-around player. Durant could also be in the mix, especially if the Thunder struggle without him and his return helps bring them back to the top of the Western Conference. People’s memories are short and if he returns on Christmas most people won’t even remember that he missed games by the time votes are due in April. And what about the Unibrow? This promises to be a big season for him since his learning curve has been ridiculously steep. The Pelicans probably won’t make the playoffs in the loaded West, but how are teams going to score against Davis and Omer Asik? Anthony Davis reminds me of sci-fi movies when a robot slowly gains consciousness to the point where they can no longer be controlled. Or that movie Lawnmower Man! Anthony Davis is basically a basketball lawnmower man. Every game he is better than the last. Davis started last season as the 33rd ranked player on ESPN’s player rank. He finished last season as the fifth or sixth best player in the league. Where will he rank by the end of this season? Fair point on Durant. Game totals will impact voting for awards and All-NBA teams, but memories are indeed short and if anybody was going to win MVP on less than 70 games for the first time since Bill Walton in 1978, it would be Durant. It’s a steep hill to climb, having to surpass a few big names, two you mentioned in the Brow and Griffin, but also possibly splitting votes with Russell Westbrook. Voting history over the last 20 seasons, via Basketball-Reference, suggests Durant could place in the top 3 if he ends up playing around 60 games. For the Brow and his age, history suggests a tough obstacle to climb into the top 5. 2006 LeBron, 1994 Shaquille O’Neal, 2010 Durant, and 1998 Tim Duncan are the only players to place in the top 5 voting and be 21 years or younger, which is where Davis is currently at. He’s just as freaky as each of those players, but making the playoffs like the rest of those guys would help a ton. Ha! I love it, although I doubt Lawnmower Man catches on. The brow is just too solid of nickname to be replaced. I think Ibaka as DPOY is as good a bet as any although there are plenty of challengers. Davis is certainly a contender for the award along with… Dwight Howard. The Rockets have become a punchline for the league, especially James Harden and his matador defense. They’re going to need 2009 Dwight back if they plan on being in the conversation this season and that means dominant on both sides, especially defensively. Speaking of defense, how about the new look Charlotte Hornets? I am fully aboard the Steve Clifford bandwagon, I’m running for president of the Steve Clifford fan club, I’ve even ordered my Steve Clifford tiger beat pinups. Okay, maybe not that far but I am a believer. Have you seen the way his players talk bout him? And on top of that, in one year he turned Charlotte from the worst defensive-rated team in the league to the fifth best. Look at guys who had career years for them last year. Al Jefferson, Josh McRoberts, even Kemba Walker improved greatly as the season went on, averaging 5.4 assists in December, 6.3 in January, 7.3 in February, 7.5 in March and 8.5 in April. And now you add Lance to the mix? A guy that grew up competing against Kemba in NYC? I’ve got a feeling I’ll be watching a LOT of Hornets games this year on league pass. I know there are sexier picks out there, but I’m going with the Hornets as my pick for league pass team of the year! Charlotte’s new court gives them a few extra wins, no? I’m just glad the Bobcats are gone. It was mostly a forgettable 10 years and last season looked like it was going to fit in with the first nine, but yeah, it’s remarkable what Clifford has done with that defense. We could see some really ugly scoring out East. The Bobcats, Magic, Pacers, 76ers, Celtics, and Bucks… I mean, 7 of the 9 worst offenses last season came out East. I’d like to see how they play against a team like Cleveland, just from how well Charlotte would defend the Cavs’ fast break and such. Are there any matchups you’d really want to see, no matter how weird? Let’s stick to regular season games for now since everyone’s going to play everyone at some point or another. There are soooooo many match ups I want to see! Cavs vs Bulls will be the ultimate Offense vs. Defense matchup. Cavs vs. Wizards has rivalries at every position — Kyrie/Wall, Dion/Beal, Lebron/Pierce, Varajao/Nene. Any matchup between ATL, CHA, TOR, BKN, and WAS will be fun since I think they will all be neck and neck in the standings. How about GSW vs NYK? Will the garden give Steve Kerr an earful for leaving Phil at the alter? In Texas, I love that Cuban and Morey are beefing. I fully support a front office beef. I wish there were more. I want a Steve Ballmer/Paul Allen feud. Then there’s the Lakers and their rivalry with logic and progress. Seriously, I am pretty neutral when it comes to all things Lakers but I have to admit that I am kind of looking forward to seeing just how bad this team will be. It’s not just the age or lack of talent on D, it’s what they seem to want to represent: A return to some idealized version of old school basketball. I hope we see more nights where the Lakers stick to their guns and shoot 70 mid range jumpers and go 0-3 from behind the arc. Nothing will demonstrate more perfectly just how much the game has changed. Then there are the rookie matchups. We’re gonna get Wiggins vs. Parker, Smart vs. Exum, Randle vs. Noel. Nurkic in Denver is looking like a rebounding machine. This rookie class is going to be a story in and of itself. Which of the rooks are you most excited to see and who do you think finishes with the ROY? Totally agree with why the Lakers should continue what they’re doing. They’re going to be something of a time machine, possibly surpassing the KG-led Wolves as the least “Moreyball” squad since shots have been tracked on NBA.com. FUN TIMES. Jabari Parker should be the favorite for Rookie of the Year, and looking at Bovada’s Sportsbook he’s the clear leader with Andrew Wiggins, Nerlens Noel, Julius Randle, and Doug McDermott (!!!) rounding out the top 5. I’m most looking forward to Wiggins, though, partly because he’s on the local Timberwolves but with Zach Lavine and Ricky Rubio he should also ease the rebuilding process. Orlando’s rookies Aaron Gordon and Elfrid Payton have a lot of intrigue, too. Like you said, there are quite a few fun rookie matchups, and it’s going to be a fun storyline both early on and hopefully during the last 20 games or so when the season can get stale. Just for the heck of it since awards keep popping up, who do you have for each? I’ll stick with Lebron at MVP; it’s the only real choice. I’m really tempted to go with Wiggins for ROY. A LOT of people I really respect are down on Wiggins but I love his game and think he’ll have a more immediate impact than most. Clifford at COY for all of the reasons I already mentioned. I’ll go with Taj Gibson as 6th man of the year. This award typically goes to high volume scorers like Crawford but I think Taj is in a great spot now with Pau taking over the starting 4 duties. I think he’ll be more useful and more efficient behind Pau and will even get to play the 4 alongside Pau in some lineups. Also, the Bulls will be good and they need an award to show for it. I think Steven Adams wins most improved. This might finally be the year Brooks realizes that the Thunder are better without Perkins on the court and I love what I’ve seen out of Adams. He fits that roster perfectly. Defensive player of the year award will be a tricky one. I could see Dwight stealing this one if Houston can become a better defensive team, which I suspect they will replacing Parsons with Ariza. I could be waaaaaay off on this one but I think Dwight has one of his best seasons ever this year and that starts with his defensive impact. Executive of the year will go to Lebron James. How can it not? He created a super team in a city that used to be free agency poison. The league will hand it over to David Griffin but we know who really deserves it. Are you seeing what I’m seeing? And lastly, who do you see bringing home the title? MVP: LeBron James, but I can see Jon Leuer giving him a run. ROY: Jabari Parker. I just see him as getting the most bulk stats and he has nobody to split votes with unlike, say, the Orlando Magic with Payton and Gordon. Most Improved: Anthony Bennett should be the favorite for this, but it’s such a weird award. Like, Kobe could be in the running. Adams is a fun pick, maybe Reggie Jackson too. Is it bad if I don’t know? COY: Clifford’s a fun pick, but he may have missed his chance as this award is usually given to teams with big improvements in regular season win total. I’ll lean on Blatt. 6th man: Taj Gibson is a nice pick. Probably should’ve won it last year. I’ve wanted to modify who qualifies for this award, but that’s a post for another time. DPOY: I’ll go with the Brow because I don’t want to upset Pierre. GM: Heh, LeBron is a solid choice. This award will go to somebody in Cleveland. As for which team survives the gauntlet that is the playoffs, I like the Spurs to repeat. It’s so close, but I like whoever gets that 1-seed out West. It’s a disaster to fall to #3 which OKC, another decent choice to title, might be placed. It’s just so hard for a new trio to win it all, and while I always thought the ’08 Celtics were going to win a championship, them winning it all looks more impressive each day. The ’11 Heat ran over teams on the way to their first Finals appearance, but even they fell short in the end. For Cleveland this year, sure, the players will probably be disappointed if they don’t title, but to me that’s more than okay. If we learned anything from the SSOS Suns or the early-2000s Kings it’s that teams with great, super-fun offenses have lasting power. I have absolutely no reason to pick against the Spurs. They perfected basketball last year. Their finals performance was a work of art. They made a team that featured one of the best 10 players of all time look like a J.V. And yet, my gut tells me it won’t be them this year. My gut is telling me that Lebron and the Heat made it to the finals in Year One with Carlos Arroyo running point! Lebron learned the hardest lesson of his life that season, and I think he’ll take those lessons with him into this season. There are so many questions surrounding that team, but I take Lebron at his word this time around, that he’s ready to accept the challenge. My head tells me there are a half dozen teams that could give the Cavs trouble. Chicago, San Antonio, OKC, the Clippers. But my gut tells me this will be Lebron’s season. My gut and my head are usually in sync but on this one I have to pick a side. I think we get a pantheon year out of Lebron. It’s something of a transition period in the league. It’ll be a fast, short one. The Heatles era is over. The Pacers era might be over, at least the one we’ve come to know over the last few years. The David Stern era is over. As is the Donald Sterling era. The Spurs era might never truly be over, but it’s entirely possible that the dynasty is coming to a close. Kobe’s era is also a flicker. KG and Paul Pierce are on their last legs. Steve Nash, Vince Carter, and perhaps even Dirk Nowitzki are all writing their final chapter. But new, bright and exciting chapters are being written. One in Cleveland. Another in New Orleans. Another, in a sense, in Clipperland. And in Minnesota, Boston, Milwaukee, and so many other cities the new book is being written. This will indeed be a season of new beginnings. Could a contender please sacrifice 10 projected wins and trade for Kevin Garnett already? Is there a bizarro trade Cleveland can pull off to get him there? Regardless of what happens, I’m going to soak in the final days of his career and potentially the last from so many other stars of the late-90s, early-2000s. They’re my childhood and last major rooting interests around the league. That’s not to say the players of this era are dull or anything. They’re absolutely not and this is a golden age for basketball, but my fandom with most players, much like my rooting interest in the Timberwolves, comes and goes. I very much agree that this season brings new beginnings and the excitement it could provide down the road will make for some great discussions, but right now the careers winding down mean a little more to me. The league is going to continue to soar when they’re gone, but like those before them we shouldn’t forget who helped pave the way. The nostalgic side of me sees this season as one of endings.